Sarah Nader- snader@shawmedia.com Prairie Ridge's Luke Annen (right) celebrate his grand slam during the third inning of Monday's game against Crystal Lake South April 18, 2016. 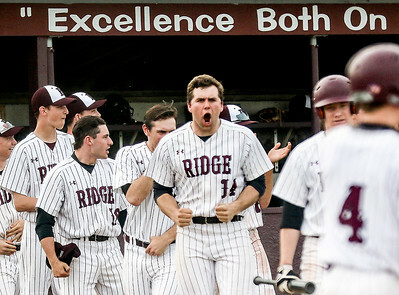 Prairie Ridge defeated South, 8-7. 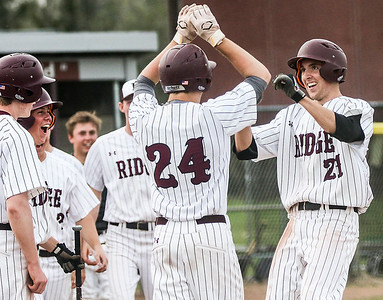 Sarah Nader- snader@shawmedia.com Prairie Ridge's Ethan Routzahn (center) celebrates a grand slam Luke Annen hit during the third inning of Monday's game against Crystal Lake South April 18, 2016. 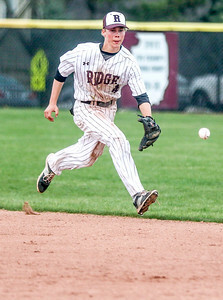 Prairie Ridge defeated South, 8-7. 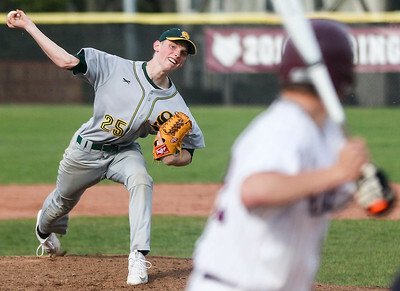 Sarah Nader- snader@shawmedia.com Crystal Lake South's Andrew Engelking pitches during Monday's game against Prairie Ridge April 18, 2016. 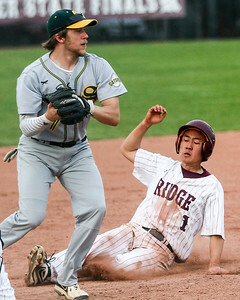 Prairie Ridge defeated South, 8-7. 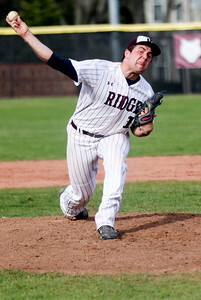 Sarah Nader- snader@shawmedia.com Prairie Ridge's Ethan Routzahn pitches during Monday's game against Crystal Lake South April 18, 2016. Prairie Ridge defeated South, 8-7. 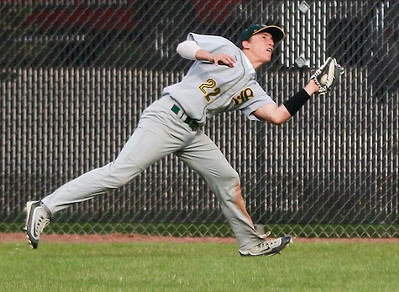 Sarah Nader- snader@shawmedia.com Crystal Lake South's Michael Swiatly catches a fly ball during the second inning of Monday's game against Prairie Ridge April 18, 2016. Prairie Ridge defeated South, 8-7. 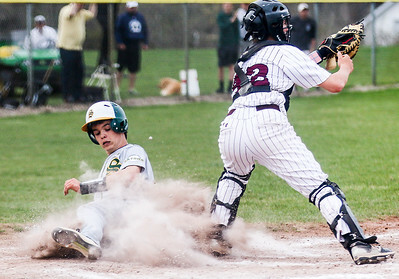 Sarah Nader- snader@shawmedia.com Crystal Lake South's Kory Olsen 9left0 safely slides home while Prairie Ridge's Scott Stetz waits for the ball during the fourth inning of Monday's game April 18, 2016. Prairie Ridge defeated South, 8-7. 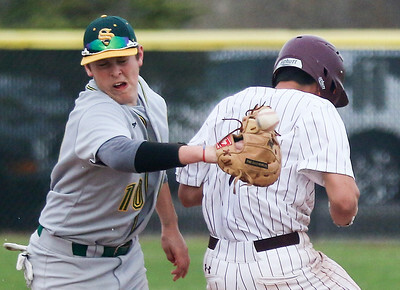 Sarah Nader- snader@shawmedia.com Prairie Ridge's Bryce Thelander holds the ball while Crystal Lake South's Tyler Carlson slides to second during the fourth inning of Monday's game April 18, 2016. Prairie Ridge defeated South, 8-7. Sarah Nader- snader@shawmedia.com Crystal Lake South's Cameron Geisser hold onto the ball while Prairie Ridge's Robin Kim is out at three during the fourth inning of Monday's game April 18, 2016. Prairie Ridge defeated South, 8-7. Sarah Nader- snader@shawmedia.com Crystal Lake South'sJason DeCicco (left) waits for the ball while Prairie Ride's Hunter Martin safely runs to first during the fourth inning of Monday's game April 18, 2016. Prairie Ridge defeated South, 8-7. 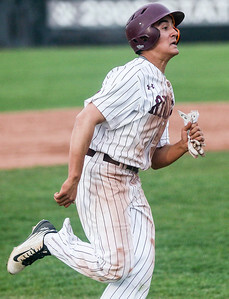 Sarah Nader- snader@shawmedia.com Prairie Ridge's Hunter Martin runs home during the fourth inning of Monday's game against Crystal Lake South April 18, 2016. Prairie Ridge defeated South, 8-7. Sarah Nader- snader@shawmedia.com Prairie Ridge's Bryce Thelander fields a ball during the fourth inning of Monday's game against Crystal Lake South April 18, 2016. Prairie Ridge defeated South, 8-7. 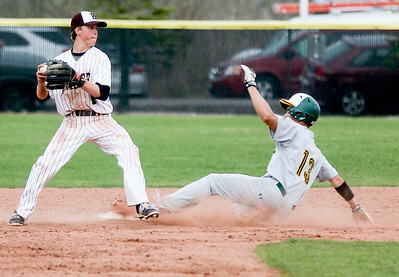 Crystal Lake South's Kory Olsen 9left0 safely slides home while Prairie Ridge's Scott Stetz waits for the ball during the fourth inning of Monday's game April 18, 2016. 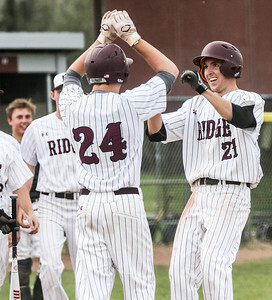 Prairie Ridge defeated South, 8-7.